Slip your Latitude 7370 into the Dell Premier Sleeve (S) to keep it safe and secure. Durable, yet lightweight materials protect your Latitude 7370 whether you are en route to a meeting, heading to the office or going anywhere your mobile lifestyle takes you. 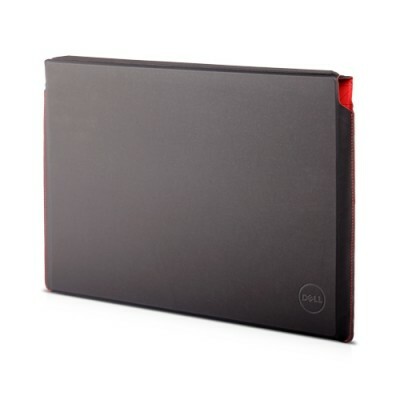 Simply place your Dell Latitude 7370 in the sleeve and carry it to your next appointment or meeting. Or, place the Dell Latitude 7370 and sleeve within another bag and youâ€™ll be ready to travel anywhere your busy day takes you. Durable yet lightweight, the Dell Premier Sleeve (S)â€™s secure design protects your Latitude 7370 when youâ€™re on the go. The Dell Premier Sleeve (S) features a wide opening, for smoother loading and easy access to your notebook. With high quality, durable materials and a secure magnetic closure, your Dell Latitude 7370 is in good hands. A soft inner lining cushions the cover of your notebook from scratches and scuffs. Easily slip your Dell Latitude 7370 into the wide opening of the Dell Premier Sleeve (S) and head out the door rest assured that your system is well protected. Lightweight, yet durable, with a slim design and structured sides, the Dell Premier Sleeve (S) is a sleek, essential accessory that enhances your mobile office experience. Pack your Dell Latitude 7370 inside the Dell Premier Sleeve (S) and youâ€™ll be carrying a stylish, contemporary accessory. Whether youâ€™re on your way to the next meeting or traveling to another continent, the Dell Premier Sleeve (S) has got your Dell Latitude 7370 covered. Custom built for the Dell Latitude 7370, it features a wide opening for effortless loading and access. With durable, yet lightweight materials and a secure magnetic closure, you can rest assured that your Dell Latitude 7370 is well protected when youâ€™re on-the-go.